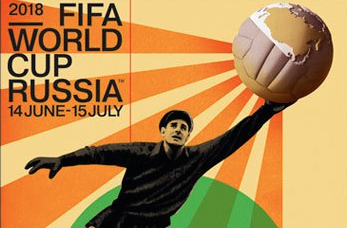 Russia has unveiled a Soviet-inspired design as the official poster for the 2018 World Cup. 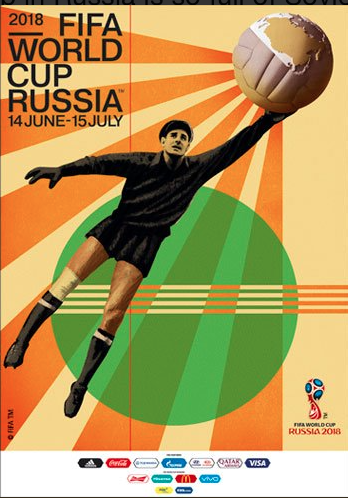 The image features legendary Russian goalkeeper Lev Yashin, reaching for a football wreathed with sunbeams. The ball itself features an image of Russia as seen from orbit: a subtle nod to Russia’s achievements in the field of space exploration. The artist behind the work, Igor Gurovich, said that he’d been inspired by 1920s Constructivism. The poster was unveiled at an official ceremony in Moscow’s iconic metro system. Russian Deputy Prime Minister Vitaly Mutko, Chairman of the Local Organising Committee, applauded the poster for keeping Russia at the heart of its design.